What is Dry Needling ? Dry Needling involves the application of acupuncture needles into tight painful myofascial areas known as ‘Trigger Points’ to elicit a healing response in these tissues. Dry Needling is different to traditional acupuncture as it is not necessarily aimed at specific acupuncture points, does not usually involve Meridians or relations to internal organs as does traditional acupuncture needling. Dry needling has been proven to be a very effective way of relaxing spasmed muscles, reducing inflammation and relieving pain. For those of you who are intrigued as to how this actually occurs read on, if too much info bamboozles you, just enjoy the picture. What is a Trigger Point ? Muscles with TrPs appear tight, spasmed and often weak. How does Dry Needling work ? Autonomic Nervous system – Needling has been show to increase sympathetic outflow, reduce skin blood flow, increase blood flow to muscles and increase arterial blood pressure. 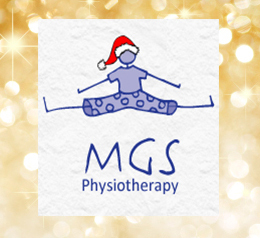 Click here to contact the friendly staff at MGS Physiotherapy with any questions or if you are interested in receiving Dry Needling.